Deborah Johnson, perhaps better known as CANDYSTATIONS, is a self described “ALL PURPOSE MEDIA ANIMAL. FULL ON SHOW DESIGNER," and there's really no better way to put it. 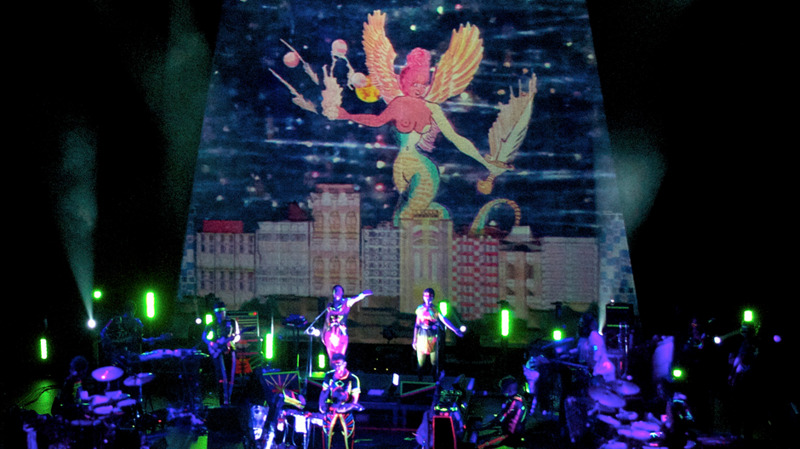 Among the many noteworthy projects of her career, the last few years has included several close collaborations with musician Sufjan Stevens, making music videos, Christmas-themed comedy sketches, in addition to designing and performing the live projected visuals as part of the extravagant setup on the acclaimed Age of Adz tour during 2010-2011. The results of that project, some of which you can see in the trailer and photos below, are a pretty mind blowing combination of skillfully hand crafted images with a special level of pure digital insanity to match the equally intense music, stage and costume designs. 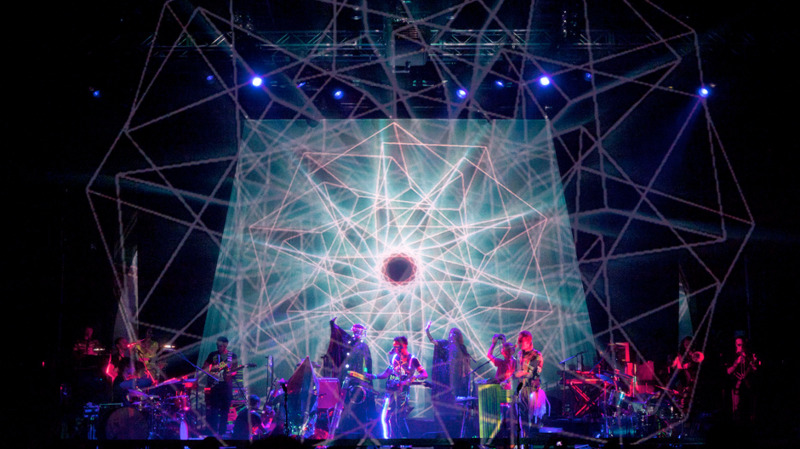 Age of Adz: "Get Real, Get Right"
In 2012, international venues Muziekgebouw Eindhoven, the Barbican London and Sydney Opera House commissioned composer Nico Muhly, Bryce Dessner (The National), and Sufjan Stevens to create a collaborative song cycle. 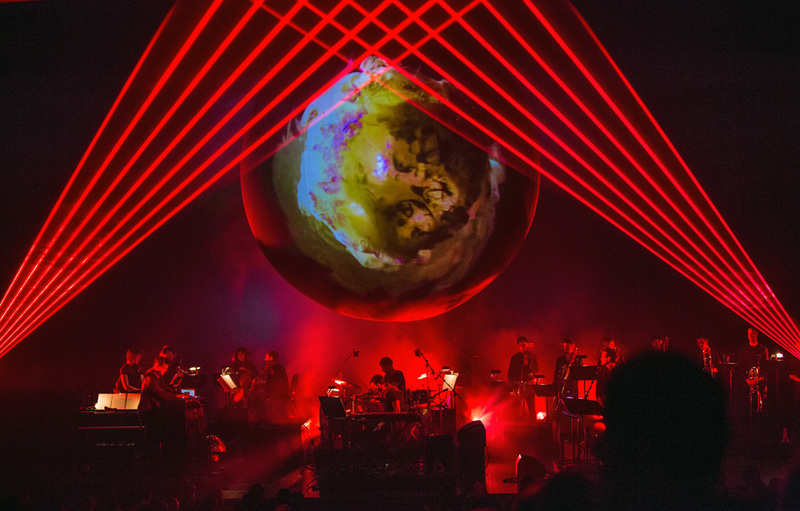 The musical exploration resulted in eleven intricately layered, metaphorical songs based on our solar system – appropriately entitled Planetarium (all the planets, including the Sun, Moon and even poor Pluto are represented). 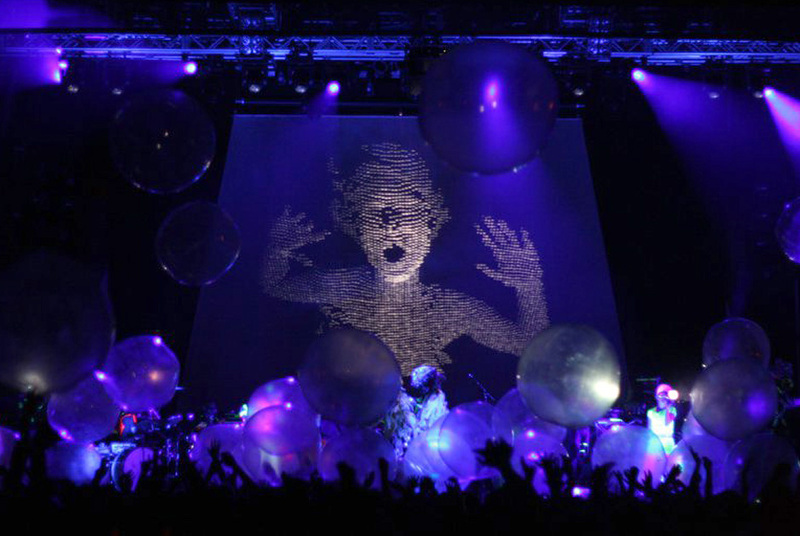 A complementary visual element for the live show was desired, so Deborah was charged with designing a set of interpretive, planetary inspired visuals to be projected onto a custom, 16' black orb (of her own design) that hangs ominously above the band. 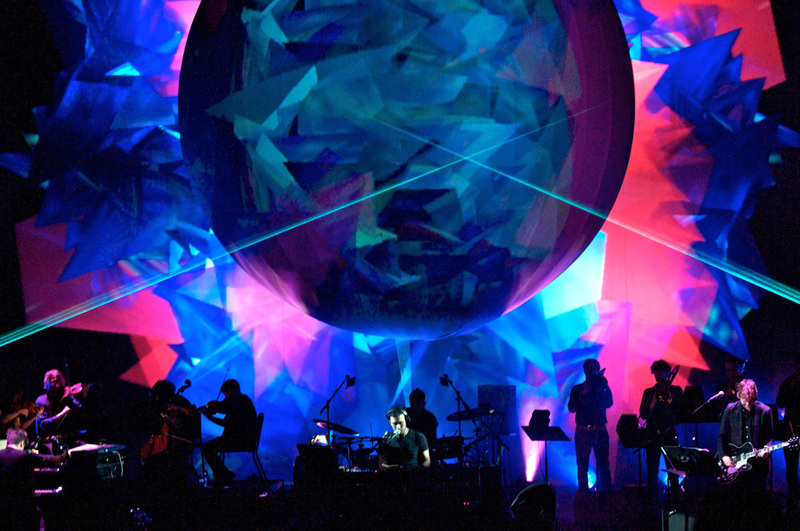 After a series of "workshop" performances in Europe and Australia, Planetarium had its respective 2013 U.S. premieres at the Brooklyn Academy of Music in March and LA Philharmonic's Disney Concert Hall in April. 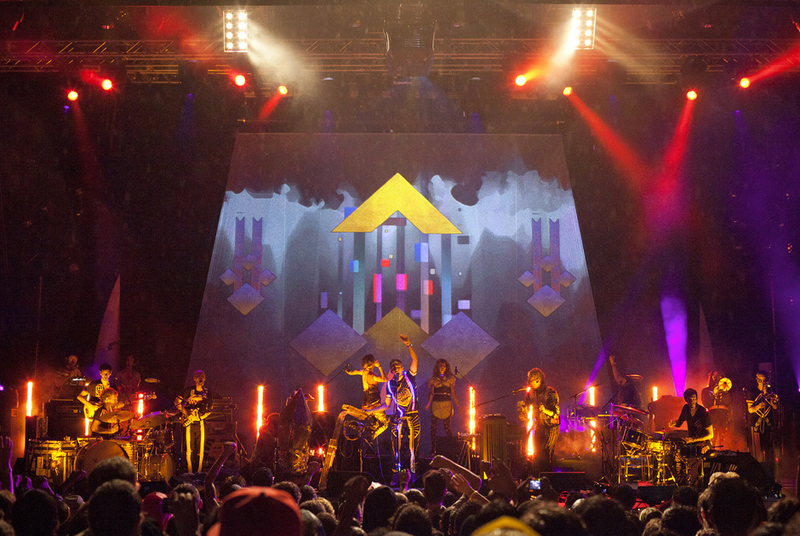 An excerpt of the track titled ‘Saturn’ can be seen to the right, with some production photographs from the shows below (audience shots can be found on her tumblr). If you'd like to read more about her creative work there's also an great recent interview with Deborah over on the iLoveQC blog where she talks in detail about her history coming up as a visual artist, along with plenty of actual software discussion for the video nerds in the audience. Her current production is for the New York-based string quartet ETHEL – entitled Documerica – based on the 1970's NEA archive of the same name. It will debut at BAM's Next Wave this fall.